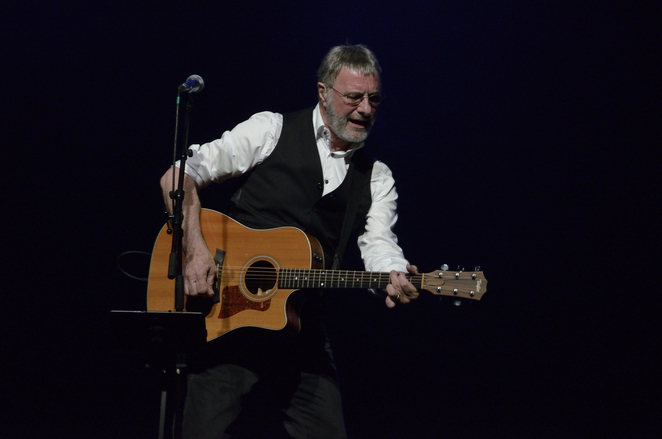 Steve Harley will celebrate the 40th anniversary of Cockney Rebel's The Best Years of Our Lives album by performing it in concert on a UK tour which visits Birmingham Symphony Hall on November 17, 2015. Released in March 1975, the album contained the monster hits Make Me Smile (Come Up And See Me) and Mr. Raffles (Man It Was Mean). Make Me Smile reached number one in the UK charts in February 1975 and went on sell more than a million copies worldwide. The shows on the anniversary tour will feature one set of tracks compiled from fans' requests, submitted via a special online link, plus a performance of The Best Years Of Our Lives album in its entirety for the first time ever. Steve Harley says:"Fans have been urging me to play The Best Years album straight through for some time, and now is the time! We'll play some out-takes and B-sides of the period, too. ''I'm really excited by the prospect of tracks like Back To The Farm getting an airing after so many years. I might play a slow, bluesy Make Me Smile, as I presented it to the band originally, as track six, then the full-blown version at the end of the night. It's a tough one to follow!" Steve is hoping to recruit original Best Years band members, Jim Cregan (guitar), Stuart Elliott (drums) and Duncan Mackay (keyboards) for the tour, with long-standing Cockney Rebel member Barry Wickens on violin and guitar. Also in the line-up will be young Austrian musicians, the twins Lisa and Mona Wagner, playing second lead guitar and percussion respectively. Mon 23:	G Live, Guildford.